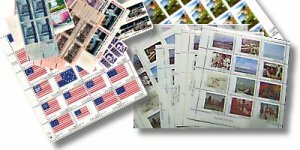 US Mint sheets: The stamp collectors one stop source. We have one of the largest stocks of US mint sheets in the country! 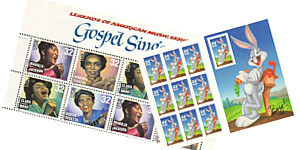 $100 in stamps for just $75. Save 25% on your postage budget. Whether an accumulation of US mint stamps, or Grandad's worldwide collection, we are interested in buying! 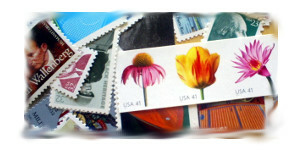 Need Special Stamps for a Special Occasion?